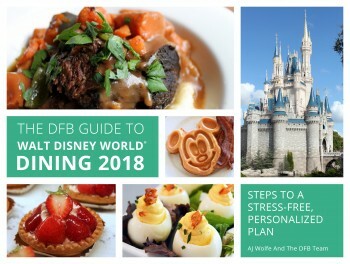 What if saving up for your Disney vacation could be FUN? We think it can be!! 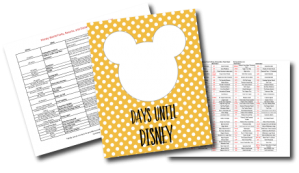 It’s fun reaching goals and our Mouse savings printable makes it easy to see where you’re at and how far you need to go before your savings account (or Disney gift card stash) is where it needs to be. This works as great visual reminder when you’re getting ready to spend $$ at the drive-thru or on an impulse purchase. Would you rather have that item or make a bank transfer and fill in a Mouse?? It’s also a great way to help your kids understand how budget changes can get you closer to your dream vacation! 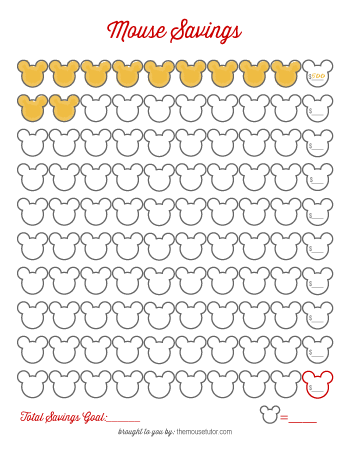 Track your Disney trip savings acct and/or Disney gift cards by coloring in a Mouse each time you are 1% closer to your goal. For example: Your savings goal is $5,000. 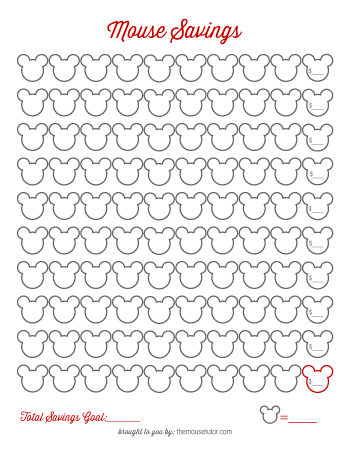 Fill in a Mouse each time you deposit $50 (or 1/2 a Mouse for each $25) into your savings acct (or buy Disney gift cards). When you complete the last Mouse on each row, enter the total saved so far. When you get to the red Mouse, you’ve made it!!!!!!!!! !